Usually considered the birth of the American navy. 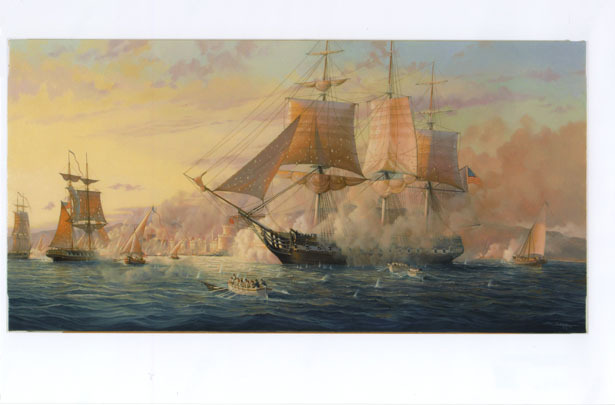 The frigate the USS Constitution is depicted bombarding Tripoli, with other smaller vessels fighting further inshore. Ostensibly to teach the Bashaw of Tripoli a lesson for allowing the Barbary Pirates to plunder American trade! Fully framed in a dark wood veneer with gold trim and name-plate.